It seems an autonomous vehicle empire is coming sooner than we think. 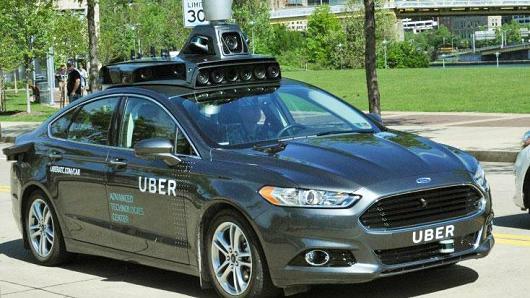 Three months after announcing that they are testing their self-driving car in Pittsburgh, Uber says their autonomous cars will be out on the streets as early as this month. In a plan to build an autonomous vehicle empire, Uber plans to launch more than a million self-driving cars to replace human drivers, with around 100 Volvo XC90s modified for autonomy to start taking passengers. An engineer will be on the driver’s seat to start, as well as a co-pilot to take down observations. A “liquid-cooled” computer will also be recording trip and map data in the trunk. Passengers who take the experimental self-driving cars will get their ride for free. Uber plans to install self-driving kits into existing vehicles rather than building autonomous cars from the ground up. Earlier this month, Uber acquired Otto, a company that works on retrofitting heavy-duty freight haulers on the highway into self-driving trucks. Otto’s LIDAR (light detection and ranging) sensor technology detects infrared emissions to monitor speed is geared to be adapted for use in Uber’s autonomous vehicles.